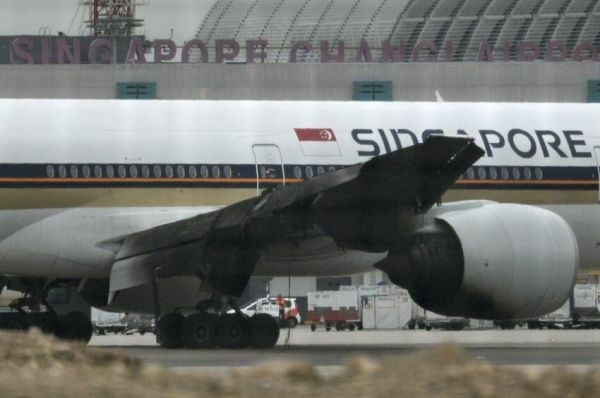 A Singapore Airlines plane has caught fire while making an emergency landing at Changi Airport. Flight SQ368 from Changi to Milan was two hours into its journey when it reported engine problems and turned back towards Singapore. 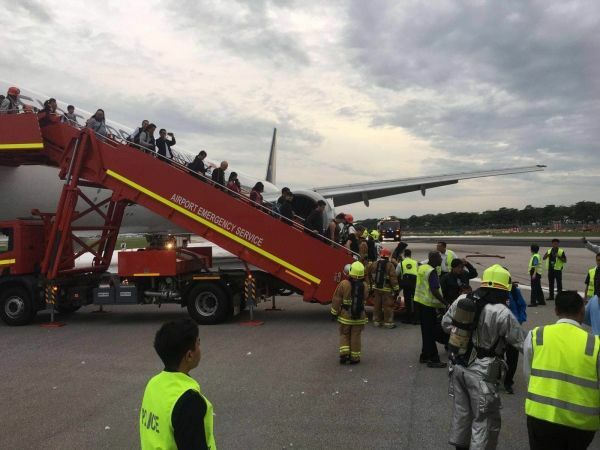 The Boeing 777 landed at 7:00 a.m. and the fire onboard was extinguished by emergency crews, according to Channel News Asia reports. 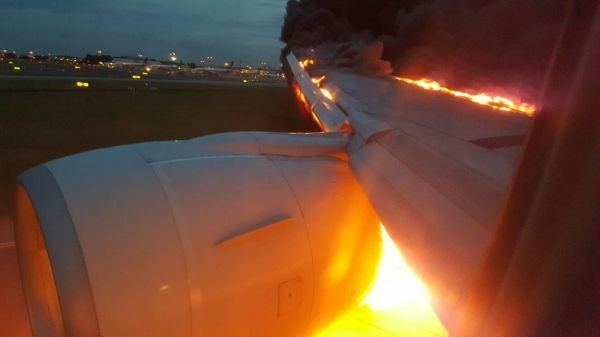 In a statement, Singapore Airlines said the plane's right engine caught fire after it touched down at Changi Airport at around 6:50 a.m. The blaze was put out by airport emergency services and there were no injuries to the 222 passengers and 19 crew on board. "Passengers disembarked through stairs and were transported to the terminal building by bus. Passengers will be transferred to another aircraft which is expected to depart for Milan later today," the statement added. "Singapore Airlines will be co-operating fully with the authorities in their investigations." The Straits Times said the plane turned back after a fuel leak. Passenger Lee Bee Yee, 43, told the Times she detected a faint whiff of what smelled like gasoline about two or three hours into the flight. 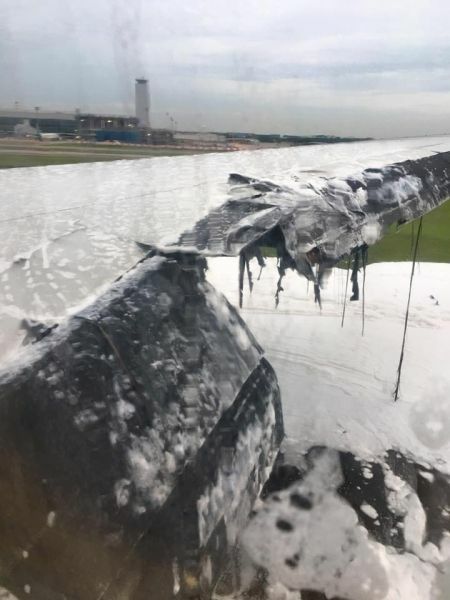 "The pilot subsequently informed us there was a leak, and that the plane would have to turn back to Changi Airport as it did not have enough fuel for the journey," she said. "We were sleeping and didn't think too much about it," she said. 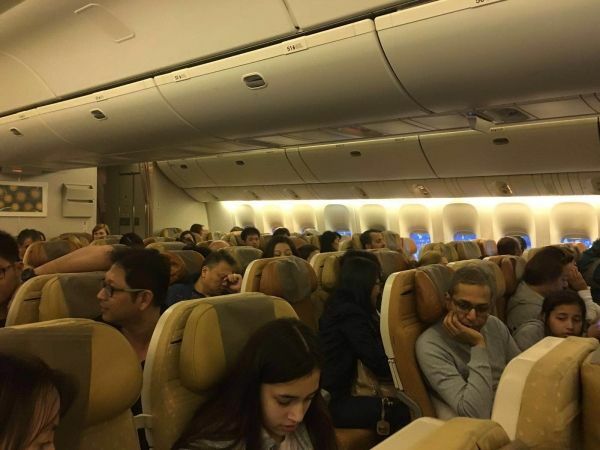 After the plane landed in Singapore the passengers cheered and clapped. Then there was a spark and "huge flames" from the right side of the plane, she told Channel News Asia. She said it took an "agonising" five to 10 minutes for emergency crews to put out the fire. Extraordinary footage posted on Facebook showed the wing engulfed by flames. Mamta Jain, whose husband was onboard the flight, said the plane's engine "exploded and the right wing was burning" while it was landing. "The pilot announced during the flight there was a problem with one of the engines that they would turn back. When they landed he said engine was on fire, he could see flames. They were all inside the plane and they could see the right wing burning," she said. Video of black smoke billowing up from the runway was posted to Twitter by witnesses inside the airport.